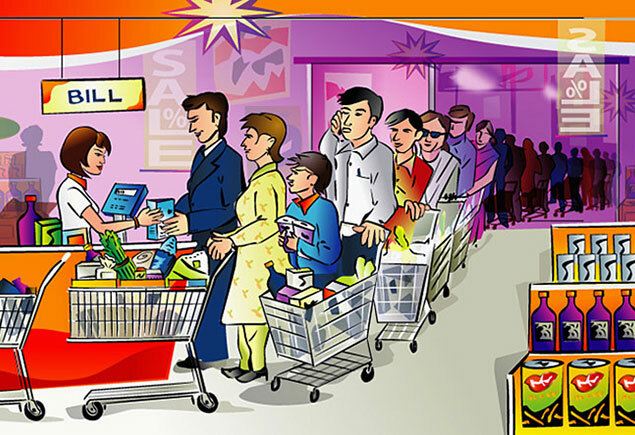 Modern billing software can solve many problem to manage retail efficiently. Retailers and quick service restaurant (QSR) owners need to take lots of features into consideration in order to make sure that the business runs smoothly. It is not only the everyday sales, but also the customer retention, sales and stock tracking, accounts and receivables, which needs proper management. And being in charge of all of these things is definitely not easy, more so, when you are required to take care of all of these things single handedly. An automated and intuitive billing solution makes things easier in such a situation. Most of the businesses, retail or QSR, till date use the cash register to tender cash and complete the financial transactions within the store. Here the problem is that a cash register can aid only with the in-store requirements. The back office functionalities like stock and purchase management, payments and receivables, accounting, everyday store difficulties and more cannot be managed with a cash register. It is a smart and modern billing solution that helps in solving all of these problems at one go. So, what are the everyday issues that a store faces? Maintaining more than one store – Those who have a chain of stores or even more than one store, product/item lookup, inventory transfer, checking the overall sales report and more becomes difficult. Level of efficiency – In case of both the retail stores and QSRs, managing customers and billing during the rush hours become tough. Hand billing or billing through a cash register takes time and serving more number of customers in less times becomes an impossibility. Maintaining payments and receivables – A cash register does not provide you the option to keep a check on your payments and receivables. So, without a billing solution, you need to keep track of these things manually, which again takes up a lot of your time. Keeping track of stock – Keeping track of stock is one of the most important things for a business. But a cash register cannot provide any kind of help in this regard. Maintaining customer satisfaction – Customer satisfaction is of foremost importance for any business. However, if billing takes time, if there’s a problem with the delivery, etc., it becomes hard for a business to retain the customers. How a billing app solves these issues? A billing app is a complete solution that helps you bill, build customer loyalty, manage customers, keep track of stock, payables and receivables, accounting, manage multiple stores, check reports and even more. Generate bill in a matter of few seconds – Bill generation becomes easier and fuss free, since you are no more required to do hand billing. Furthermore, with a billing system, you can print a bill in a matter of few seconds, thereby cutting down the waiting period for the customers. Improve the level of customer satisfaction – With a billing system, you can work on customer satisfaction. It is not only the smaller queue, but also the right and on-time delivery, discounts and customer loyalty, which work as customer delights. Cut down on shrinkage – Since you can keep an eye on the stock, it becomes easier for you to cut down on the shrinkage, thereby improving flow of materials and money. This contributes towards the improvement of the business functioning. Generate reports – When you start using a billing solution, you are no more required to keep track of any aspect of the business manually. The system does everything for you. You will simply have to check the reports from the system. A billing solution automates the business in such a way that you can gain control over every aspect of your business. This again helps with the improvement of the ROI over time.